Most species are seen singly, in pairs, or in family groups. 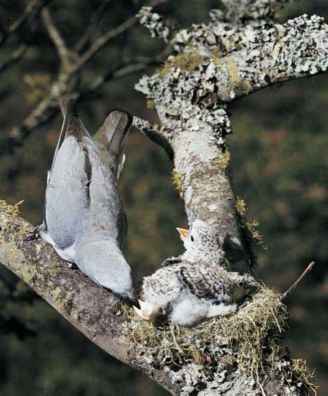 Mixed-species bird parties of forest or woodland often contain one or more species from this family. In the nonbreed-ing season, many species, especially the minivets, associate in monospecific parties or flocks, and in Australia the yellow-eyed cuckoo-shrike (Coracina lineata) roosts communally. 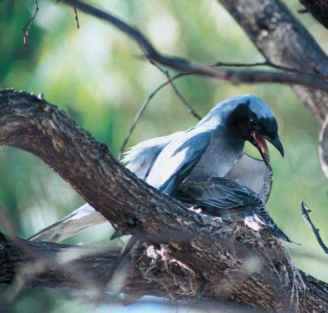 Most cuckoo-shrikes tend to be unobtrusive and quite silent, although many have loud calls. These whistles or rather raucous squawks are not uttered frequently. However, flocks of minivets, with their bright colors and musical contact calls, are much more obvious. The cicadabird (Coracina tenuirostris) has a cicada-like call. Several species have male-female duets. Some cuckoo-shrikes have a habit of perching motionless on a branch, often in an upright stance and sometimes for long periods. The larger species have the habit of shuffling or refolding their wings on alighting. Many species, especially those of forested regions, are sedentary. However, other species, especially in Africa and Australia, show local or limited seasonal movements. 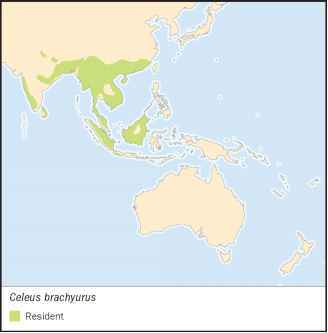 Three minivet species of central/eastern Asia are long-distance migrants, wintering south to Southeast Asia. The ashy minivet reaches the Philippines.